Everything seems quiet on Ann Brooks’s suburban cul-de-sac. Despite her impending divorce, she’s created a happy home and her daughters are adjusting to the change. She feels lucky to be in a supportive community and confident that she can handle any other hardship that life may throw her way. But then, right before Thanksgiving, a crisis strikes that turns everybody’s world upside down. Suddenly her estranged husband is forced back onto her doorstep, bringing with him his beautiful graduate assistant. Trapped inside the house she once called home, confronted by challenges she never could have imagined, Ann must make life-or-death decisions in an environment where the simple act of opening a door to a neighbor could jeopardize all she holds dear. 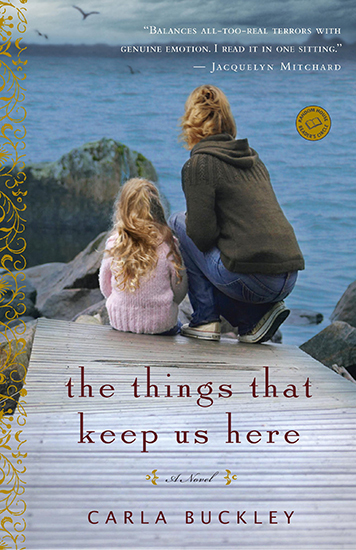 The choices she makes will impact the lives of those around her irrevocably and linger in the reader’s memory in this marvelous first novel, written with authority, grace, and wisdom.